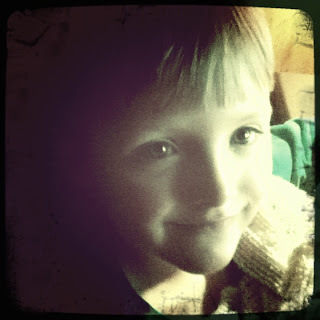 I mentioned recently that in November we learned that Ethan has Type 1 Diabetes. He is, quite literally, too sweet. The symptoms appeared out of nowhere: insatiable thirst, looking tired, dry mouth and suddenly wetting the bed (often multiple times a night). At first I dismissed the tiredness because it happened to coincide with the time change in the fall. We were all tired. The bed-wetting, though, concerned me because it hadn't happened since Ethan was a toddler. After 10 days I decided to call the pediatrician's office and speak to a nurse. My sister had been diagnosed with Type 2 Diabetes earlier in the year and I knew extreme thirst and dry mouth can be symptoms, so I mentioned that. The nurse asked us to come in the next day to do a finger prick and a urine specimen. When the blood glucose meter showed a reading of 476 I knew life had suddenly changed. Our pediatrician explained that Ethan very likely had Type 1 and got an appointment for us at the Vanderbilt Eskind Pediatric Diabetes Clinic the next morning, with strict instructions to head straight to the emergency room if we saw any sign of Ethan going downhill. The doctor explained that the problem we faced was that without treatment, Ethan would get very sick, very fast and there was no way to know if it would happen in a few days or a few weeks. Thankfully the night was uneventful and Ethan and I headed to Vanderbilt on November 11 to get a crash course in diabetes management. He started vomiting not long after we arrived (the start of getting "very sick, very fast," otherwise known as DKA). The nurses made him a nest on the floor of the conference room with blankets so he could rest while I learned everything I needed to know. After nearly 5 hours of teaching, the nurse took us down to McDonald's so Ethan could eat and I could test him and give him insulin before we left the hospital. It was there that I had to tell my son that these horrible needles would be a part of his life forever. We both cried. Our new routine consisted of testing Ethan's blood sugar before each meal, before bed and again at 2 AM, and giving insulin after each meal and at bed. His insulin dose is not a set dose; it is calculated by ratio. For instance, a 1:12 ratio means he would get 1 unit of insulin for every 12 grams of carbs he eats. The trick is that often each meal has a different ratio, plus there is the correction factor - so if his blood sugar is over a certain number, there's a sliding scale system of how much insulin to add. Hello Math, nice to see you again. It's not complicated math, but if you don't keep track the consequences are dire. This is made even more frustrating when you eat out and discover that many restaurants have no nutritional information they can give you. The first week after Ethan's diagnosis was extremely hard on all of us. We never had to physically restrain him to do his shots or finger pricks, but there was a lot of crying and begging me to stop (he wouldn't let Greg even try, so I did it all). 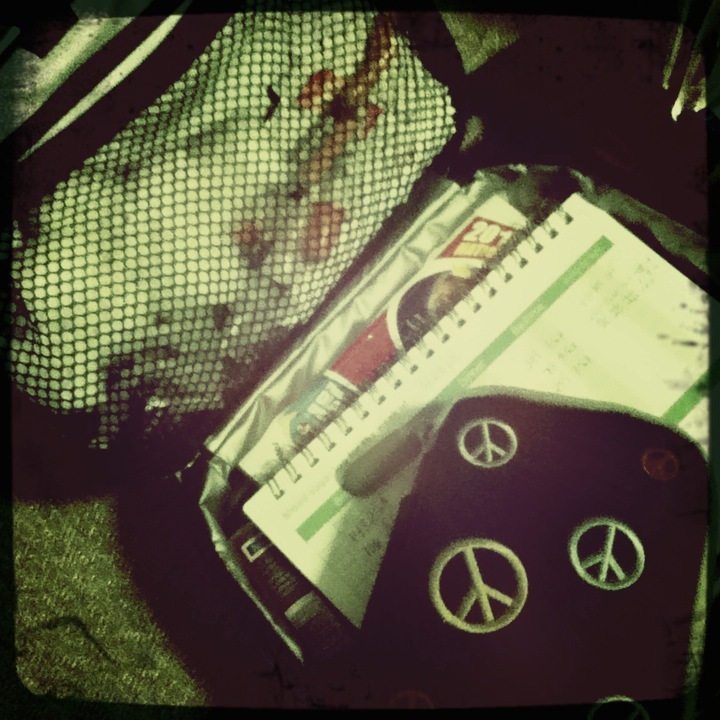 The first two days I handled it well because I was in survival mode, just trying to remember how to do everything. The third day was when I was an emotional basketcase. It does get easier - I can attest to that. I have learned that most people know nothing about Type 1 Diabetes, largely because Type 2 is so rampant in the US. However, many doctors feel strongly that Type 2 should not even be called diabetes. Can Type 2 be managed with diet, exercise and pills? Yes, much of the time. Some people (like my sister) have Type 2 and require insulin. However, Ethan (and anyone with Type 1) cannot manage his diabetes with diet, exercise and pills. His pancreas has stopped producing insulin. Without it being injected into his body throughout the day, he will die. I'm sure it sounds overly dramatic, but it is our reality. Will diet and exercise be important for him? Yes, absolutely! There are some pretty awful things that can happen to diabetics if they don't take care of their bodies. Can Ethan still have sweets? Yes, absolutely! He can have anything (except poison, and cookies...made with poison); he simply has to take insulin for it. The other thing I have learned is that children are amazingly resilient. They adapt quickly to the new "normal." Ethan doesn't like shots or finger pricks, but they don't bother him anymore. The excellent news is that he will soon be on an insulin pump, which will mean only one quick needle every 2-3 days (plus finger pricks - those can never go away). I know life with the pump will not be without challenges or frustrations, but I am hoping it will be better for Ethan. As for me, I have realized that as the mother of a child with Type 1, it's like I have diabetes myself. I manage it. 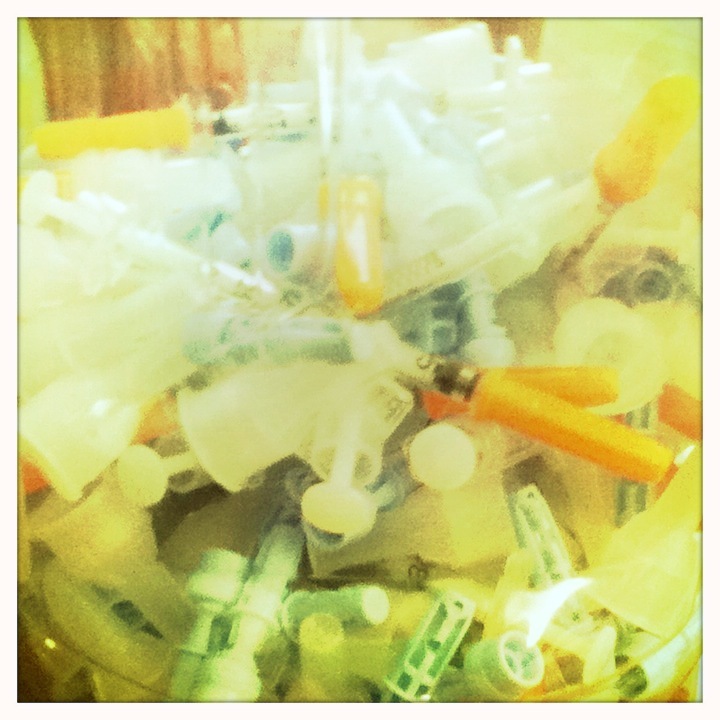 I do all the shots. I do all the finger pricks. I record the numbers. I calculate carbs. I try to anticipate lows or highs. I try to make sense of it all. I can't sleep in because Ethan has to be tested before he eats breakfast and get insulin right after. But here's the rub: I don't have diabetes. 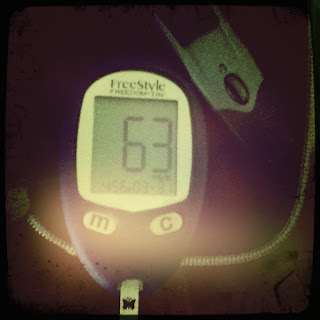 I have no idea what it physically feels like when his blood sugar crashes or shoots up high. There are signs, but I don't know how it feels leading up to those numbers, nor do I know how drained and exhausted he must feel afterward. I am responsible for being an external pancreas and it can be exhausting. It won't be long before Ethan will be responsible enough to take over some of the diabetes duties, but I will still have to supervise, ask questions and worry. All in all, Ethan is doing well. We adjust his ratios as needed on a weekly basis and are working on making healthier food choices. "Is his diabetes 'bad? '," you may ask yourself. Let me say this: any disease that requires you to make your child bleed at least 4 times a day and then give them a shot is "bad." Type 1 diabetes is certainly manageable, but it is predictable only in theory. Our bodies sometimes do things for which we have no explanation and leave us scratching our heads as we look at numbers that make no sense based on what Ethan ate. Can he thrive with this disease? YES. My prayer is that my son (and my daughters) will live a long, healthy life - not just surviving, but thriving and making a difference in the world.